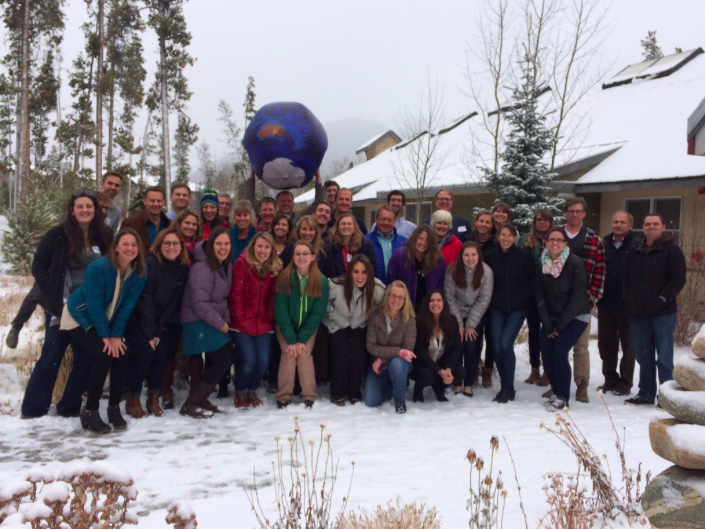 Photo from the the recent WEN Symposium in Keystone; it was also the first significant snowstorm of the year. Credit Colorado Foundation for Water Education. Two Water Educator Network members, and one member of the Colorado Alliance for Environmental Education worked with fellow environmental educators across the country, the Kettering Foundation, and the North American Association for Environmental Education to create a framework for deliberation on national and state-specific water issues. In May 2016, the Colorado team tested their draft Colorado framework with two test forums where high school and college-level stakeholders engaged in deliberative decision-making processes focused around water availability across the state. A comprehensive test forum report was produced to contribute to further developing the Colorado Water Issues Deliberation Framework. The team’s work culminated in September 2016 with the completion of a deliberative forum guide for navigating Colorado water quantity issues in high school and post-secondary learning environments. To download a free pdf of the Colorado Water Availability Deliberative Forum Guide to use with high school and post-secondary learning environments, and for more information about Environmental Issues Forum visit: http://naaee.org/our-work/programs/environmental-issues-forums. ← @Northern_Water is hosting 3 Irrigation Association classes in Feb.